Project 24 Progress and Forum | "Northern Crossings"
Project 24/Christ’s Care for Children-Kenya (CCC-K) is a church operated school-based boarding facility program for vulnerable children in Kenya, planting Gospel seeds through mercy and human care to children who are in need of care and protection. 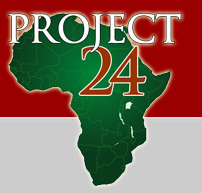 Project 24 (P24) has six operational boarding facilities, whose main stakeholders are Evangelical Lutheran Church Kenya (ELCK) and Lutheran Church Missouri Synod (LCMS). The two church bodies are mission partners working towards the common goal of serving our Lord Jesus Christ and raising children in a Christian environment. The six P24 facilities include Udom, Tumaini, Rongo, Othoro, Lenkishon and Nyambiri. When the World is at Its Worse…………..